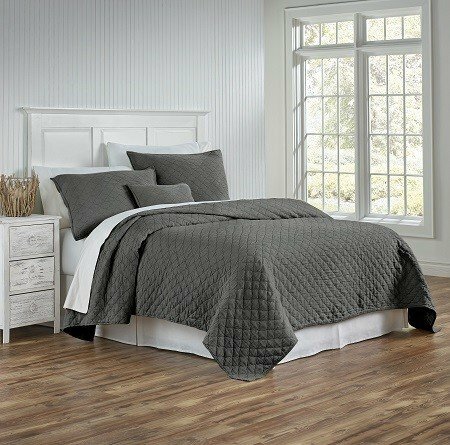 Stone washed coverlet LOUISA features a diamond quilted pattern and flanged shams. Very cozy looking and feeling. Available in 5 colors, Mist Blue, Linen, Charcoal and White. Linen verson is 11% linen and 89% Cotton.